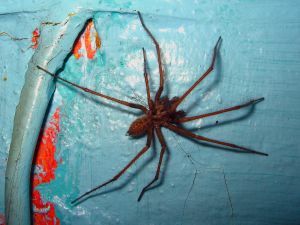 Creepy Crawlies: A surefire way to lose a buyer's interest. Everyone gives their house a once-over once it's on the market. But there are certain things that will immediately turn potential buyers off, so make sure your house doesn't exhibit any of the following before you open your doors to the public. Bad Odours: This goes without saying! If the first thing your buyers smell when they walk into your house is the remains of last night's fish supper, you're going to be in trouble. Ensure your house is fully aired and smells fresh. Insects: You can't insect-proof your house, but you can ensure they are merely visitors rather than squatters. Make sure there are no infestations and check all nooks and crannies. Water stains: Enough to turn any buyer away in an instant. They may suspect burst or leaking pipes, but even if the cause is something far less sinister, you'll have a hard time convincing them the stains are benign. Dirty Bathrooms: Bathrooms tend to reveal their cleanliness easily. If you haven't put bleach down your toilet in months, it's going to be obvious. Give it a good scrub, wash the floor and open the window. Cracks in the walls: Uh-oh! Nothing says 'subsidence' more than long cracks in the wall. Ensure they're investigate fully before you sell as there may be legal issues if the subsidence goes unmentioned when you sell. Even if the cause is less serious, cracks will seriously turn off potential buyers. Image is generally more important than features when it comes to selling a house. Peeling paint is a simple fix for any new home owner. In fact, they'll most likely redecorate anyway. But what peeling paint, water stains and mildew have in common is that they suggest neglect, and doubt will begin creeping into the mind of any potential buyer. Have you always looked after the house? Have you omitted to service and maintain its features? A little goes a long way when it comes to making your home attractive. Another great reason for cleaning your house early is that you can start clearing out rubbish, so when you've exchanged contracts and are looking to get a moving home quote, you can let the company know accurately the volume of your possessions so you get a competitive price. Happy selling!